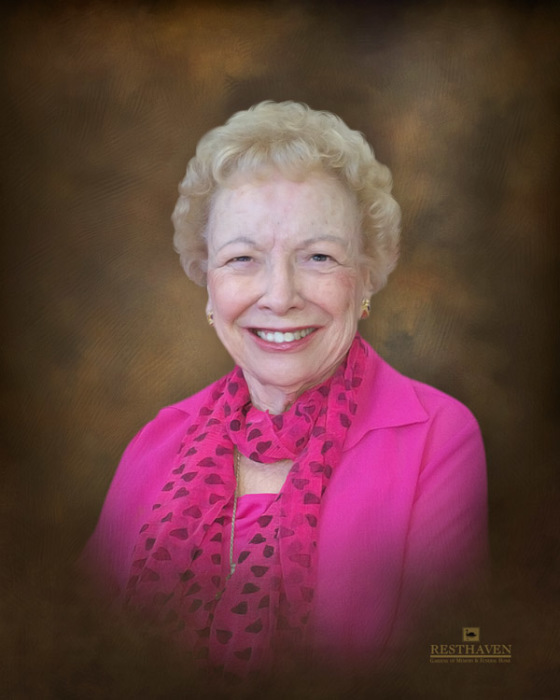 Sylvia B. Middlebrook, passed away on April 2, 2019, at the age of 82. Sylvia was a member of Broadmoor Baptist Church since 1970, where she was a director of the Mother’s Day Out Program for 32 years and blessed many lives. She was also a Sunday School teacher to 4 year olds for 15 years. She was an avid basketball and tennis player, enjoyed all LSU sports, and loved to travel and spend time with her family. She is survived by her daughters, Patricia M. LeBlanc and husband Lance, and Judy M. Jones and husband Doug; her son, Bryan Leon Middlebrook and wife Pam; and her grandsons, Matthew, Derek, Christian, and Jacob. She was also loved by Kristi and Brayden. Sylvia is preceded in death by her husband, Leon Z. Middlebrook; her five brothers, Doyle, Jesse, Hershel, Harold, and Jerry; and her sister-in-law, Louise. Visitation will be at Resthaven Funeral Home, 11817 Jefferson Hwy, Baton Rouge, LA on Sunday, April 7, 2019 from 5:00 pm until 8:00 pm. Visitation will continue on Monday, April 8, 2019 from 12:00 pm until funeral services at 2:00 pm. Officiated by Bobby Rayburn from Broadmoor Baptist Church. Burial will follow at Greenoaks Memorial Park.